If you are thinking of building a new house or livestock barns, here at Born Well Drilling Inc, are happy to help you. There are many important factors to take into consideration when deciding on a well site selection, we are happy to assist and advice you. We can also assist you in determining your desired gallons per minute, ranging from standard pump systems to the constant pressure setups. There are many state and county codes that well systems need to meet. Feel free to call with your questions and a free estimate. Do you need to install a new water line to a barn or outbuilding and need a trench, Born Well Drilling has the equipment and knowledge to get the trenching job done quickly and efficiently. If you already have a pump and are experiencing problems, we also offer service and repair on all makes and models of pumps. Don’t despair if your pump is failing and needs repair contact the dependable team at Born Well Drilling Inc. to help diagnose the problem. 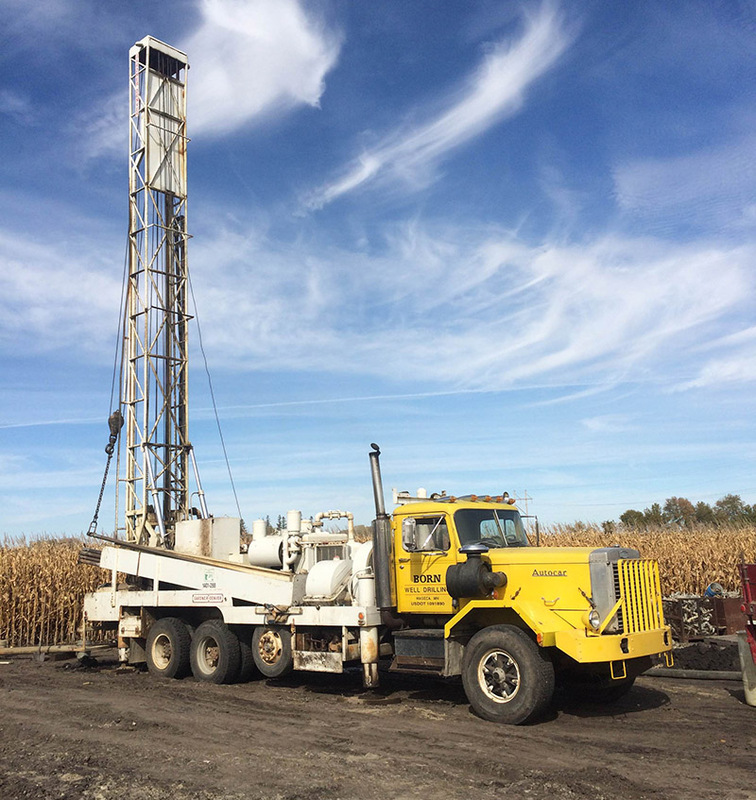 When you need a full water system installed, complete with pump installation, call upon the professional, highly trained and dependable team at Born Well Drilling Inc. We offer high-quality pump installations at affordable prices. Call our team today to schedule an appointment. You can expect nothing less than top-quality service and exceptional customer care from our team. We also offer expert pump services and repair. Minnesota rules and regulations require that all unused wells are permanently sealed. An abandoned well can lead to liability issues if the water somehow becomes contaminated. You know you can rely on Born Well Drilling Inc., our team of professionals has the knowledge and experience to properly seal your well. We are state certified for sealing of abandoned wells in Minnesota. If you’re looking to SAVE money on your irrigation expenses, have an irrigation well installed. Remove yourself from city water, and SAVE money by using groundwater to irrigate your crops. The use of groundwater is environmentally friendly, to drill for an irrigation well on your property. At Born Well Drilling Inc., we have the experience you can trust when you want to install an irrigation well. We’ll drill your well, install your water system, and test the quality of your water. When you need honest and reliable water system inspections from a team you can trust, call on the Born Well Drilling team of skilled professionals. Having your water system fail can be a very stressful situation. Save yourself the stress, and schedule an inspection of your system today. We use state-of-the-art equipment to inspect your system and diagnose any potential issues before they become a problem. We’re licensed, bonded, and insured, and proud members of the Minnesota Water Well Association and the National Groundwater Association.